Wah! 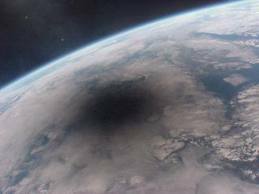 's solar eclipse photos - SolarChat! May accidents before and during the eclipse, but still can see the total solar eclipse for the first time! Last edited by Wah on Mon Oct 02, 2017 7:16 am, edited 2 times in total. These are just truly stunning, each is a magnificent work of art can I ask how you create these composites? I used AS!3 to stack the same exposure frames and used Photoshop to combine different exposure stacked frames with layers. Love the spectrum .... that beautiful coronal iron line! Very nice work and processing! The spectrum is really neat. Very very impressive indeed Wah! ASI1600MC-Cool: maybe the future of eclipse photography, replacing the dslr ? New corona enhance method result. Truly amazing images! Wow, wow, wow. PS Do you give lessons? Fantastic work! Would you share your method of image capture, and of the image processing? I love how the final image looks. Great work. I took my EQ mount, telescopes, laptops and cameras to the eclipse, and the cameras where following the SharpCap Python scripts I prepared to capture different exposure frames (0.001-4s) during the 2 minutes totality. After coming home, I extracted the frames from SER video file with PIPP, and stacked the same exposure frames with AS!3. I have made a Photoshop action with 50 steps to grab the high and mid frequency signals of the different exposure stacked raw files. Then I combine the mid and high frequency signals into layers and carefully remove artifacts near the edge of overexposed area. I also combined the different exposure raw frames into one HDR frame and adjust the color and contrast. Finally I combine the high frequency singals to the HDR frame and fine tune. My final result is actually not as good as Dr. Miloslav Druckmüller's mathematically processed results. His program can extract the most fine details from corona without introducing too much noise. I hope someday he would let his great CORONA program for everyone use. Based on Mr. Miloslav Druckmüller's HDR and ACHF method, I processed my images again trying to squeeze all the tiniest details from them, and finally got this final version. A very impressive set there Wah! Oh my goodness! research grade!! Really great work Wah make sure you put it in Astronomer of the year photo competition so everyone can view it perhaps also some Astronomy magazines.So much work needs to be seen and appreciated. Certainly one of the best pictures I could saw until now! Congratulation for this wonderfull set of images. They are beautifully processed. Do you have a full resolution version of this image ? Amazing what you have accomplished, Wah! Your latest result is easily as good as Druckmuller’s famous pictures. Your Photoshop technique seems related to some of the multiresolution wavelet sharpening methods available in some image processing routines. Have you tried any of these? I learned the ACHF from Mr. Druckmuller's daughter's thesis. I struggled to follow their family's stunning images. His solar eclipse images are still the best of the best! WOW!~~!! !~~ Your results are much higher resolution than mine!! !